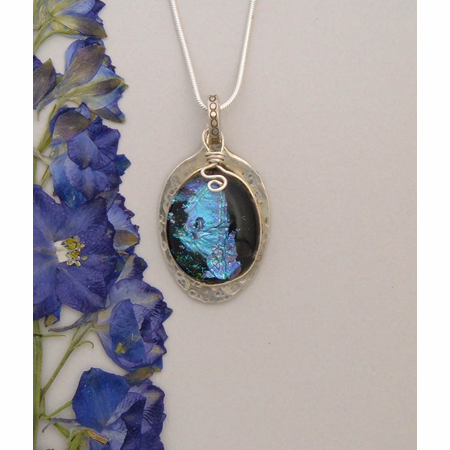 This handmade dichroic glass and silver pendant stands on it�s own. The pendant backing has a history as an antique silver teaspoon dating back to the early 1900�s. 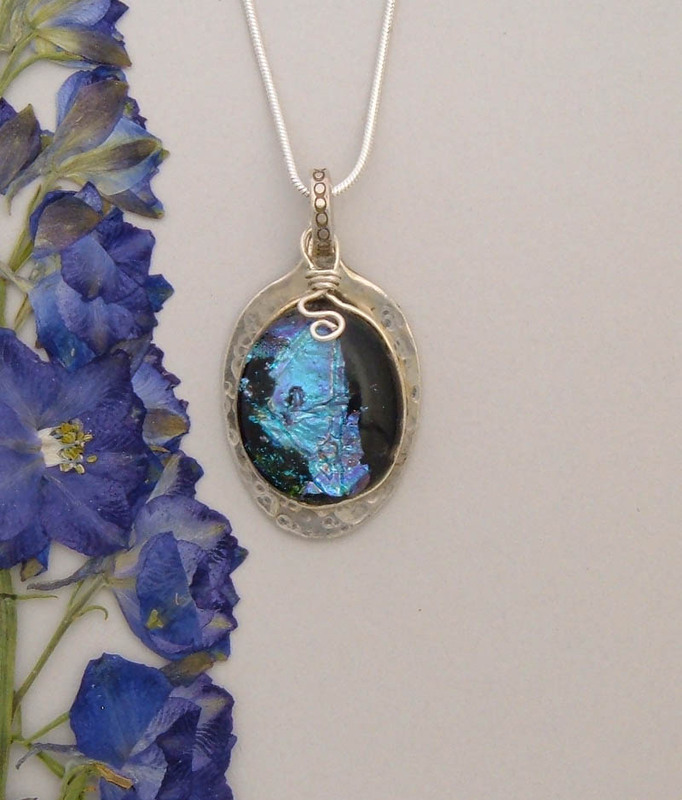 It has been carefully handcrafted to frame the beautiful and picturesque dichroic glass. 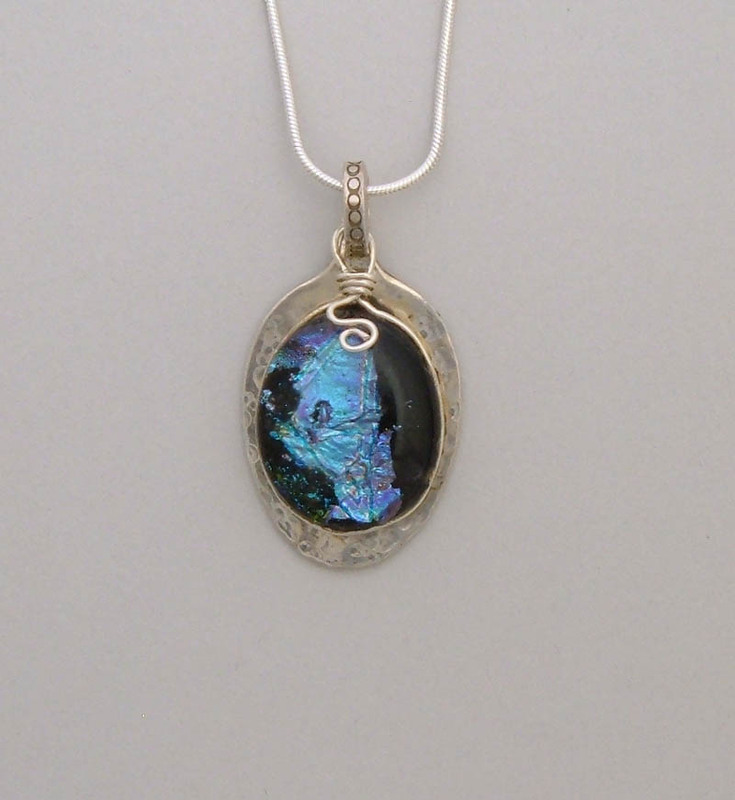 The dichroic glass has Victorian colors which change between deep purples to brilliant shades of electrifying blues and just a hint of magenta peeking through, making this a truly individual and impressive pendant. This substantial piece is 1-�� long by 1� wide. Picture it hanging at the hollow of your neck when wearing that simple black dress to a cocktail party or on a long chain with your sweaters or blouse. Whichever way you wear it, it will always be unique and beautiful and what a great conversation piece.